In late June, the American Medical Association commended the Centers for Medicare & Medicaid Services for proposing several new policies to allow added flexibility in Medicare Access and CHIP Reauthorization Act (MACRA) implementation. Just over a week later, results from a survey conducted by the AMA and KPMG LLP made it clear why that flexibility was so desperately needed: fewer than one in four physicians in a decision-making role felt 'well prepared' to meet the new quality reporting requirements in 2017. Advanced Alternative Payment Model (APM), which offers a more stable and favorable fee schedule and bonus but also requires physicians to take on more risk. Since many physicians and practices do not meet the initial qualifying criteria for APM participation, the majority will be paid under the MIPS track. While the overarching MACRA concept is generally well received, the devil for most clinicians is in the details. 56 percent of respondents plan to participate in MIPS in 2017 & 18 percent are expecting to qualify for the higher, more stable payment from APM. 51 percent of decision-makers felt 'somewhat knowledgeable' about MACRA or QPP, 41 percent had heard of MACRA or QPP but didn't consider themselves knowledgeable, and only 8 percent described themselves as 'deeply knowledgeable' on the subject. 70 percent have begun the process to meet QPP requirements in 2017, but only 23 percent of that group feels 'well prepared' to do so. 90 percent felt the reporting requirements were 'slightly' (37 percent) or 'very' (53 percent) burdensome. 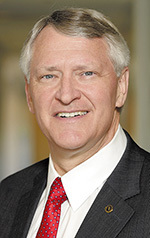 AMA President David O. Barbe, MD, MHA, said the organization had conducted a previous survey within a general physician population that showed a very low percentage having an awareness of MACRA. However, he added, the hope was that the disconnect among 'rank and file' physicians wouldn't be there when speaking directly to physicians in a leadership capacity. "That was equally dispiriting," Barbe said. "Fewer than 25 percent in physician decision-making roles have what they would consider adequate knowledge of MACRA ... and we're halfway into this first reporting year. These are scary statistics." 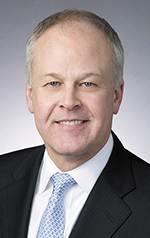 Larry Kocot, JD, national leader of the Center for Healthcare Regulatory Insight at KPMG, said although there was some good news to share from the survey, "83 percent said they needed more help and understanding. That's one of my bottom line takeaways." He added that 66 percent said their biggest challenge was the time required to report. The survey also indicated physicians don't expect the time burden to lessen in subsequent reporting years. Kocot said other concerns were the need for better understanding of the scoring (57 percent), cost of reporting (53 percent), and the need for improved organizational infrastructure to meet reporting requirements (49 percent). "We found the problems were pretty consistent across practice sizes so these aren't unique," he said. Barbe noted the AMA has advocated for more exclusions and flexibility for physicians in this first year. 'Pick Your Pace,' for example, gives physicians the option to not participate at all and receive a negative 4 percent adjustment; submit something ... even just one improvement activity ... and avoid a penalty; submit 90 days of data to potentially receive a small positive payment adjustment; or submit all of 2017 data for a moderate positive payment adjustment. Similarly, feedback about the burden on small practices led CMS to increase exclusionary low-volume thresholds from less than $10,000 in Medicare charges and seeing fewer than 100 Medicare patients to less than $30,000 in charges or seeing fewer than 100 Medicare patients. Additionally, clinicians in their first year of Medicare participation are exempted from reporting requirements. Kocot added CMS has invested substantial resources to help physicians get prepared and have seemed willing to work with providers as evidenced by the enhanced flexibility in this first year. He also noted the work has continued smoothly despite staff changes in the wake of the presidential election. "Both administrations deserve credit for not missing a beat," Kocot said. "The want to bring physicians to a point where they can operate comfortably in a new payment environment that ultimately will be more beneficial to patients and bring some sustainability to the healthcare system's financial landscape." He added, "Aligning physician incentives with quality and other performance targets will lead to greater rewards for physicians and better healthcare for patients." While supportive of a payment system that rewards high-quality, evidence-based care, Barbe said moving to MACRA has been a two-edged sword. "On the one hand, it does actually represent an improvement. We do have reduced reporting requirements than before." However, he continued, "It's still a significant burden for practicing physicians to figure out what measures to report." Adding to that burden are different reporting requirements across all payers. "Why can't we all agree here are the three measures important for diabetes? Here are the four for hypertension. Let's all work together toward the same measures," he said of the bigger quality picture across public and private payer sources. Barbe noted some practices have had to hire extra staff to gather data and pull reports. "There are many practices who have found it costs more to comply than to pay the penalty. Rewards should be commensurate with the amount of effort to comply and report." It's frustrating, Barbe said, for physicians who feel like they learned the requirements for PQRS or Meaningful Use to switch gears once again. "Just about the time they figure out the game, the rules change," he pointed out. That said, Barbe noted prior experience with reporting programs might have helped physicians with QPP preparation. The survey showed past participation appears to have positively impacted physician readiness for MACRA. "While progress has been made in preparing physicians for the move from volume in the fee-for-service payment model to value in alternative payment models, it is important that we do even more to assist physicians with the transition," agreed Kocot. He also said the shifting payment model is inevitable. "CMS is not going to walk away from this transition from volume to value," said Kocot. "We could do a better job of bringing people along, but we're not going to turn back." Although the survey confirmed worries that physicians aren't confidently prepared for MACRA, Barbe said it also helped AMA in their quest to continue assessing readiness gaps and focus educational efforts. One such resource is AMA's "Do One Thing Now for QPP" page located at ama-assn/qpp-reporting. The page walks physicians through the steps to successfully avoid a penalty in 2019 for the 2017 reporting year. Despite current concerns and ongoing tweaks to the process, Barbe said physicians do want to see a transition to value-based practice. "I am optimistic that we can improve not only the quality of care for patients but the practice environment for physicians so the frustration level begins to come down," he concluded. CHICAGO -- As physicians across the country prepare for the first comprehensive changes in Medicare payment in three decades, the American Medical Association (AMA) is unveiling new resources to encourage and simplify participation in the program. The new, customizable MIPS Action Plan will help physicians pursue the right course of action for their practice, take recommended steps to meet program requirements, and measure their performance against important milestones. The AMA also released a short video, entitled "One patient, one measure, no penalty: How to avoid a Medicare payment penalty with basic reporting." The new resources come on the heels of a recent survey conducted by the AMA and KPMG that shows an overwhelming majority of physicians are unprepared to participate successfully in Medicare's new Merit-based Incentive Payment System (MIPS), despite the transitional flexibility provided for 2017. In particular, physicians who have not previously participated in Medicare reporting programs are in need of basic information on steps they need to take this year to avoid a payment penalty in 2019. "The lack of preparedness for these important Medicare changes is particularly acute for physicians in smaller practices," said AMA President David O. Barbe, M.D. "The AMA has achieved notable regulatory victories that have streamlined the reporting required in 2017, and we strongly encourage physicians to take a few important steps so they aren't penalized by CMS. The AMA is providing a number of resources to educate and empower physicians, including informational podcasts, a payment model evaluator, and a new step-by-step guide that offers a brief assessment of where a practice stands." The Medicare Access and CHIP Reauthorization Act of 2015 (MACRA) promises to reshape how Medicare pays physicians under the Quality Payment Program (QPP) by encouraging them to adopt value-based models in health care. "Change has arrived," Dr. Barbe said. "We know that change does not happen overnight or without challenges and the AMA is working to help physicians through this transition, both through our work to ease regulations and to provide physicians with tools to help them be more successful." The Payment Model Evaluator, an innovative tool offering initial assessments to physicians so they can determine how their practice will be impacted by MACRA.